Hi there, Ollie here. 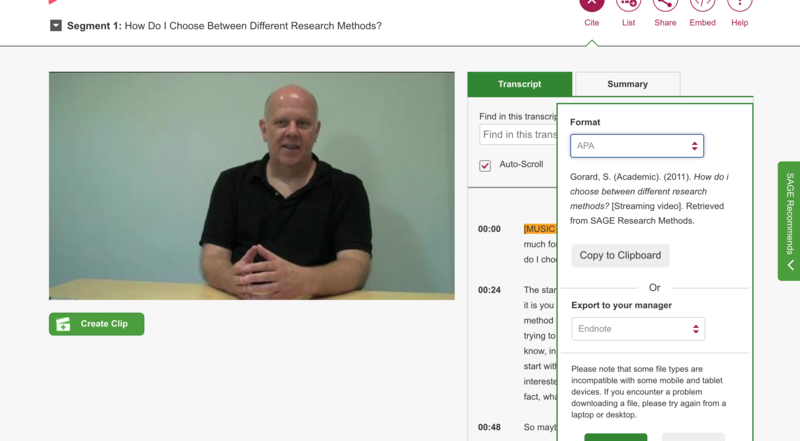 Today I’m writing about the online resource The SAGE Research Methods video feature. I accessed it through the University of Sussex Library’s Online Resources page, by clicking on the online resources beginning with ‘S’. 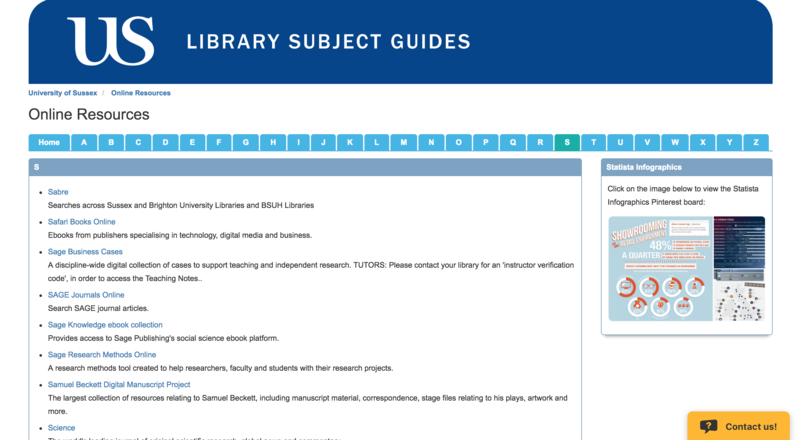 It would have been easier to access it if it was on the home page of Online Resources, however, by saving it to my bookmarks I’ll be able to access it easily in the future. 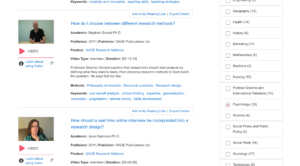 I like the Research Methods home page, which has a simple and professional feel. There’s a search bar for if you’re looking for something specific, but what jumped out to me was their option to browse by content type. 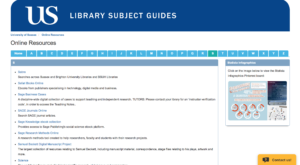 There are eight content types: books, video, reference, little green books (quantitative methods), little blue books (qualitative methods), cases, project planner and podcasts. 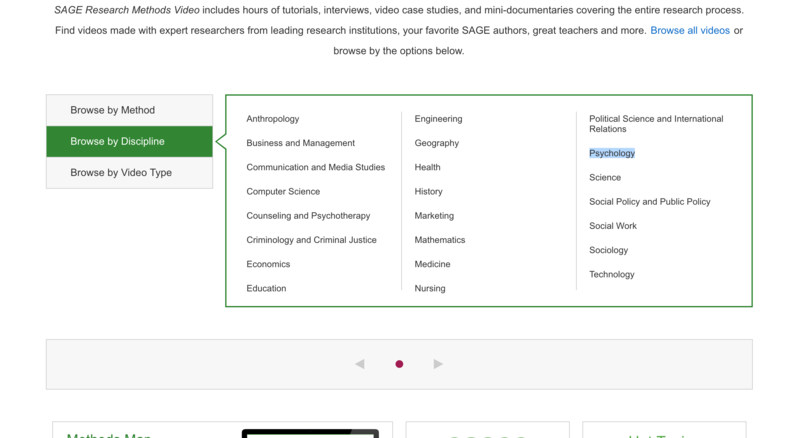 After clicking on ‘video’, you have the option to specify your discipline, so I clicked on Psychology. There were many videos of senior academics (all seemed to have Ph.Ds) discussing specific research questions, ranging from 1 minute in length to 15 minutes. I watched several of them and found them interesting as they pointed out some fundamentals of scientific research that are sometimes neglected. One feature I really liked was that, to the side of the video, there’s a transcript of everything that the academics say. This would be really useful if I wanted to copy and paste large chunks of what they say into a word document, for example if I was making notes on it. In addition, you can download a PDF of the transcript, allowing you to ‘read’ the content of the video offline. 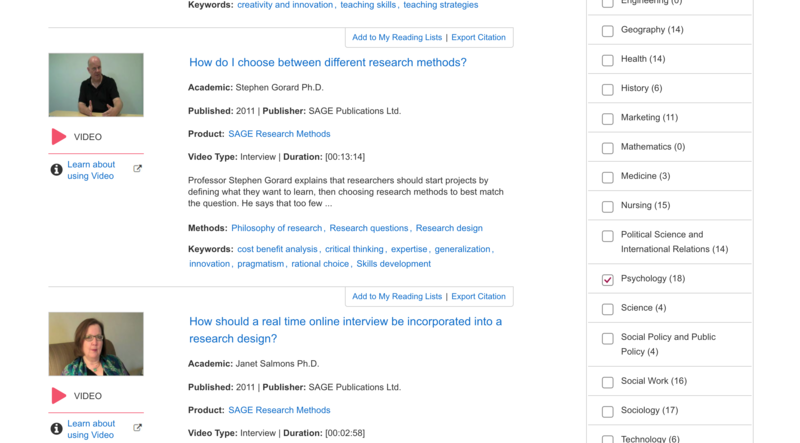 Another feature I liked was the option to quickly and easily get the citation the video using whichever referencing format you choose, especially as video is not a medium which I have referenced in the past, so I would have been unsure how to reference it. One feature I didn’t like was that there was no related video feature, as there is on YouTube. Below the video there is ‘related content’, which mostly includes case studies and often does not include other videos. Since I had chosen the content type to be videos, I would have preferred related videos as the main, if not the only, type of related content. Another feature I would have liked is longer and more in-depth videos. The videos there were were lasted an average of about 5-10 minutes and watching them felt like they were only scratching the surface of the topic they were addressing. Longer videos, perhaps in a lecture recording format, would have been a good resource for taking a deeper dive into these topics. 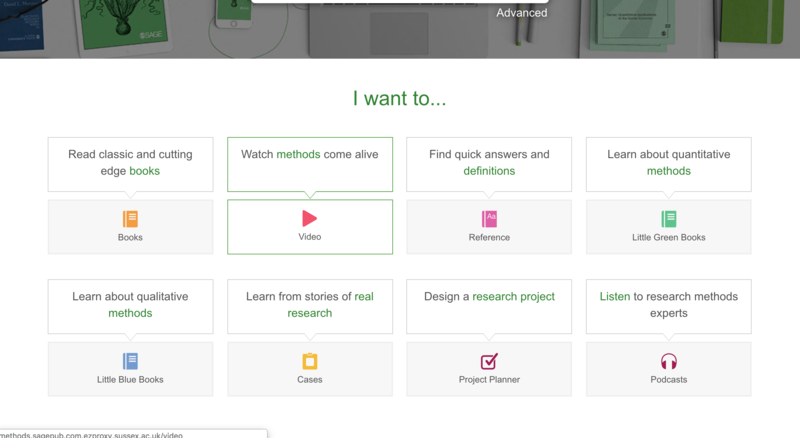 All in all, I liked both the layout in the content of the SAGE Research Methods video feature.